I originally published the following article in October 2001 in The Wilderness Cry (the newsletter of my church at that time, Nassau International Assembly). This article was written approximately two weeks after the terrorist attacks of 9/11. I share it again (with very little change) as a reminder of one response to those events when they were fresh in our memories, and to look at where we have gone as a nation since then. When I originally published this article, I told people that I hoped America would not hit the snooze button. Now, I hope we have not unplugged the clock and thrown it through the nearest window. America received a shocking reminder of the horrors of war and the suffering that is common in too many countries when hijacked planes, serving as “flying bombs,” crashed into the World Trade Center’s Twin Towers and the Pentagon on September 11, 2001. As I write this article, more than two weeks after the tragedy, only about 300 bodies have been retrieved and over 6000 are presumed to be buried underneath the rubble that once comprised the two largest buildings ever erected by mankind. These events revolutionalized people’s attitudes and perspectives. Americans united: volunteering to help dig through the rubble or aid those who were digging; donating blood; praying for all who were involved in the tragedy. God was mentioned on television more frequently than He has been in a long time. Even the most unlikely television networks, including ESPN, MTV, and VH1, followed the events (sports and entertainment seemed quite trivial in the face of disaster), and several cable networks halted ALL programming in the hours that followed these events. Gossip columnist Liz Smith, in her September 12 column, admitted that her reports about the private lives of celebrities were too trivial in the face of such tragedy. Will such changes last? I fear they will not. 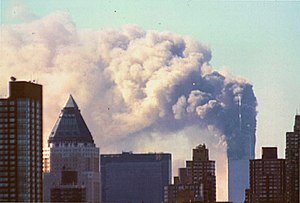 Within days of the catastrophe, people were already looting stores near the World Trade Center, and unethical opportunists were operating telemarketing and Internet scams, obtaining donations for phony charities that were allegedly helping those affected by the World Trade Center bombing. A noticeable example of this similarity is the pride that so typifies New York, and the rest of America as well. As our nation’s leaders claimed the terrorists committed an act of war, I am reminded that no act of war has occurred within the United States in a long time. As a result of this sense of security, we have come to boast as Babylon did that “I sit as a queen and am not a widow, and will never see mourning” (Revelation 18:2). Especially in New York, we assumed that we would never see war or suffering. How naive we were! The tower of Babylon’s builders sinned in at least three ways. First, they sought to exalt themselves instead of God. Second, they chose to congregate in one area of the world, rather than obey God’s command to fill the earth (see Genesis 9:1). Finally, they appointed alternatives to God; archaeologists have discovered the ruins of towers in the area of Babylon that contained early zodiac symbols. Some people believe the biblical Tower of Babylon was such a “ziggurat.” People were seeking wisdom from the stars rather than from God. Likewise, modern man has come to trust in money rather than Jesus Christ. Additional similarities between New York and biblical Babylon abound. Revelation 18:2 refers to Babylon as a “dwelling place of demons and prison of every unclean spirit.” New York, as well as the rest of America, has taken great pride in its tolerance of different religions (although biblical Christianity is frequently rejected with the claim that “there is no absolute truth”). Certainly all nations have become drunk from the wine of New York’s immorality as it has become the media and information capital of the world. Much immorality is disseminated from New York via diverse media, polluting the minds of millions. Finally, the merchants of the earth have become rich by New York’s sensuality (Revelation 18:3). As you read Revelation 18, you will find that Babylon is a major financial and economic center, just as the World Trade Center and nearby Wall Street have been the world most important economic hub. As we have sought riches without righteousness, and money without morals, we have prepared ourselves for divine discipline or judgment. Several aspects of the World Trade Center catastrophe bear at least a cursory resemblance to Babylon’s judgment in Revelation 18. “In one hour such great wealth has been laid waste” (Revelation 18:17). It is true that only part of New York City was destroyed, and that it took a little over an hour. However, we can see that such a prophecy can easily be fulfilled in New York City. Revelation 18:19 mentions people throwing dust on their heads in mourning, while weeping and crying out. While people may not have intentionally thrown dust on their heads on September 11, thousands were pelted with the dust of the crumbling buildings as they wailed in fear and despair. People cried out as they saw the smoke of her burning, even as smoke rose from the World Trade Center’s rubble days after the attack. Immediately following the attack, the smoke even be seen from the International Space Station orbiting Earth. Four hours after the building fell, Joyce and I saw the giant smoke cloud rising as we drove across an overpass in Oceanside, New York, about 30 miles away from the World Trade Center. Let me emphasize that this is only a wake-up call. It is time for Americans, and especially Christians, to realize that God can judge our nation in fulfillment of even the most shocking biblical prophecies. He can do it in our lifetime. While certain elements of this prophecy have not yet been fulfilled, we now can see that God is able to fulfill such frightening prophecies of judgment in our lifetime. However, He is also able to restore and bless our land if we return to Him (2 Chronicles 7:14). Even though America probably has more Christians than any other nation, we should still prepare for judgment. We may have higher moral standards than many other countries, but whenever God gives much, He expects much. We have failed to bless other countries, choosing to pursue wealth, comfort, pleasure, and other forms of self-gratification. We have chosen our own paths rather than to serve God and act as a light to the world. God used unrighteous, idolatrous nations to chastise Israel in the Old Testament. Why would He refuse to do so to use today? Americans can, and probably should, expect our worldly enemies to inflict more violence against our land in the days and years to come. At this time, Christians should heed God’s call to come out of Babylon (Revelation 18:4); that is, we should come out spiritually, separating ourselves from the moral laxity, greed, lust, selfishness and pleasure-seeking that permeate our culture. In the days ahead, we must pay greater attention to God and show greater concern for the spiritual, emotional, and material needs of our fellow humans. I pray that the heightened concern for others and the greater interest in things that truly matter will not dissipate in the days to come. 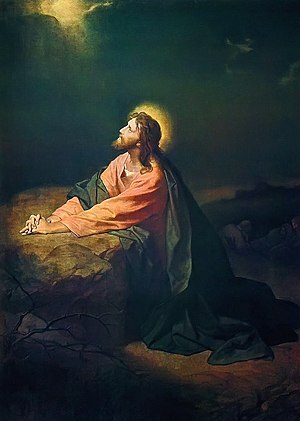 I especially pray that we, the Body of Christ, remember the lessons of recent days. Let us commit ourselves to greater moral and spiritual purity and more intense service to God.